As a birthday present this year, my wife got me a GoPro HD Hero2 camera that I had been wanting for quite some time. Over the past couple of months I’ve spent quite a bit of time with it, as well as money on accessories. After answering questions from other people interested in the camera and accessories, I figured I’d put together a post for reference. I’ll focus mainly on accessories since the camera itself is awesome and doesn’t really have any competition to compare it with. – The Waterproof Housing is what you’ll probably be using a lot. Chances are you want a GoPro for rough conditions where you wouldn’t want to be using another camera. Whether it’s dust, water, or just weather, the waterproof housing will be what you turn to. – The HD Skeleton Backdoor is good when you don’t need to be water/dust/weather-proof, and want to capture sound a little bit better. The GoPro doesn’t get great sound in the waterproof housing. Also if there’s a chance for fogging, this housing is a good solution. – I’ve only used the Vented Helmet Strap once on my normal bike commute to work through San Francisco. It was a boring video as my commute is usually boring, but I imagine anyone doing mountain biking or something similar would find a good use for this. – I haven’t found a use for the Head Strap yet. 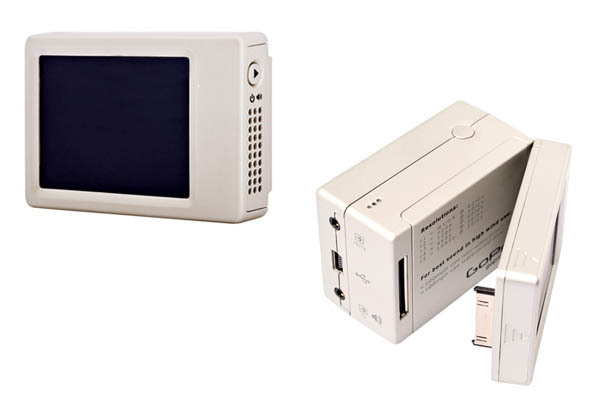 – Also comes with a USB Cable, the default battery and other assorted mounting bits. I modified the default waterproof housing by adding the BlurFix from Snake River Prototyping as I was planning on going diving in the British Virgin Islands and wanted crisp, clear video underwater. 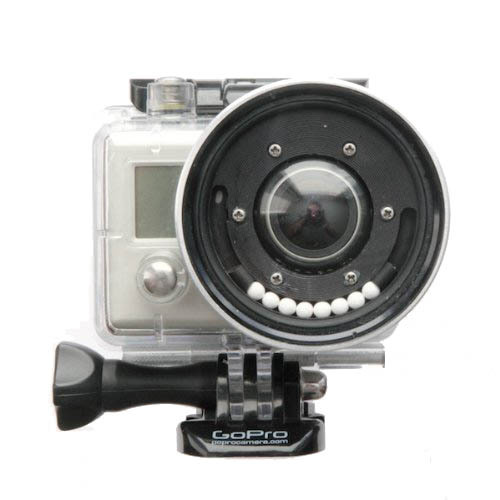 In the time since I modified my housing, GoPro has come out with a Dive housing that appears to have promise. I haven’t used one yet though, and will probably stick with the BlurFix for now since it’s what I have and it works well. The BlurFix was relatively easy to add to the housing, however you can buy one with it already attached if you’re nervous about the process. The GoPro + BlurFix resulted in really nice video underwater for a couple of snorkeling trips in British Virgin Islands. However right before our SCUBA dive, I accidentally dropped the GoPro (ironically while adjusting the homemade wrist strap) and the filter on the front cracked. :( This meant all the subsequent dive trips were with the default GoPro housing lens. The difference in video from the default lens and the addition of the BlurFix is remarkable. If you’re filming underwater, don’t use the default waterproof housing. Another thing I learned from my SCUBA footage is that the diving more than a few feet below the surface really begs for a lens filter. Snake River Prototyping includes a default UV filter with the BlurFix that has been filed down for a low profile (to reduce vignetting), but they also offer a number of other 55mm filters including filters intended for underwater use. As soon as I got home from the British Virgin Islands, I bought a replacement UV filter (plus a backup) as well as a URPro CY Filter from SRP so I would have them for the next trip. I also got the pricey $11 lens cap from SRP as the filed down low profile filters won’t take normal lens caps anymore. I have yet to play with other filters, such as polarizing filter, but in theory any normal 55mm filter should work, however there are reports of minor vignetting. One downside of the official GoPro Dive housing is that it won’t take any normal lens filters. It looks like it’s just a clear glass lens so I have to wonder how it does in deeper water in real life scenarios. Conclusion: Worth the money for any underwater filming. The Battery BacPac is by far the accessory I use the most. Since I do a lot of time-lapses I need the extra battery life. Fun Fact: Unlike other cameras, the GoPro remains powered on fully while doing a time-lapse, draining batteries in a couple of hours. If you’re doing a time-lapse or are planning on being away from a power source for a long time. The Battery BacPac and extra batteries are your friend. It’s also handy because you can use it as a battery charger in a pinch. And it’s a good way to know how much life you have left in a battery as it will be displayed by the green LEDs when you hit the button. One of the most annoying things I found out first about the GoPro was it’s lack of external charger. If you wanted to charge a battery you had to put it in the camera and plug it in via the USB cable. That meant no charging while shooting video out and about. 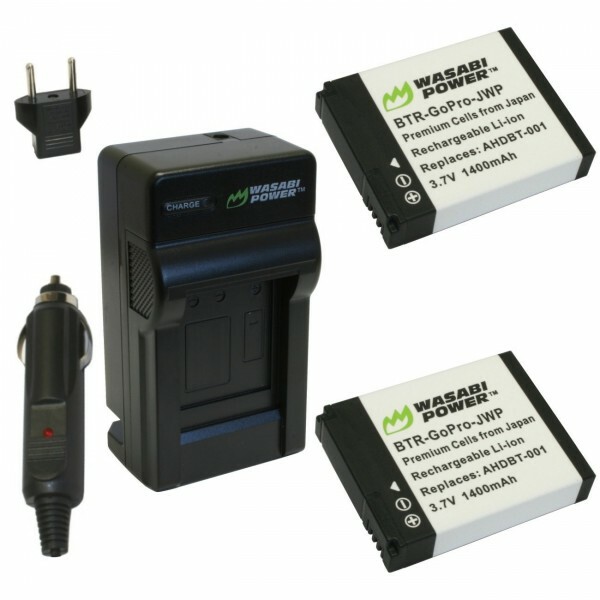 I quickly bought the “Wasabi Power Battery and Charger Kit” which came with two additional batteries and a charger that would plug into both a normal wall outlet as well as an auto cigarette lighter outlet. All for less than $30. Hands down my first recommended accessory purchase. Pairing this with the Battery BacPac means I have yet to find myself in a situation where I’ve run out of battery power for my GoPro. Conclusion: I couldn’t live without this. The GoPro LCD BacPac screen was purchased on a whim with a birthday gift card. It was one of those “nice to have, but not required” accessories. Because the GoPro has such a wide lens, it’s pretty easy to point it at something and capture what you want. It may not always be centered and level though. I noticed this often with my timelapses so I thought I’d give the LCD a try. It does help a bit. It’s also handy for playing back videos and provides a slightly better interface for the menu, however I rarely use it. I’d recommend shooting a couple videos with the GoPro first before deciding you need the LCD. It’s pricey, but for some people I can imagine it would be very important. Keep in mind though that it prevents you from using the Battery BacPac and will additionally drain your battery. Conclusion: Meh, probably not worth the money unless you know need it. Buy it. 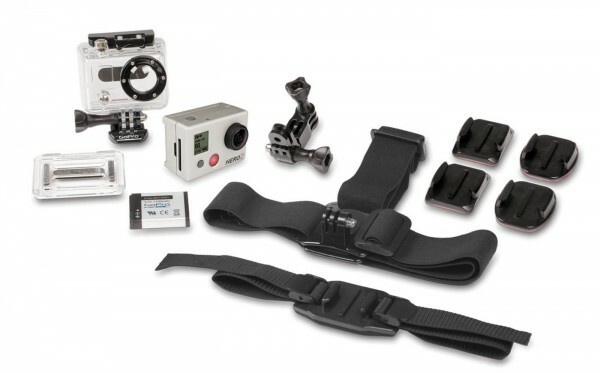 It’s cheap, and it allows you to attach your GoPro to a number of different things. I personally use it mostly with an original GorillaPod. 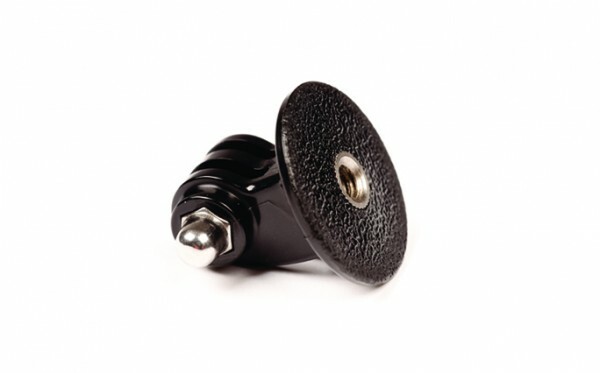 This is very useful if you’ve already invested in other camera mounting gear like tripods, monopods, GorillaPods, etc. This doesn’t come with a screw knob, but you can borrow the one of the Three-Way Pivot Arm. Conclusion: No brainer if you have existing camera mounting hardware. 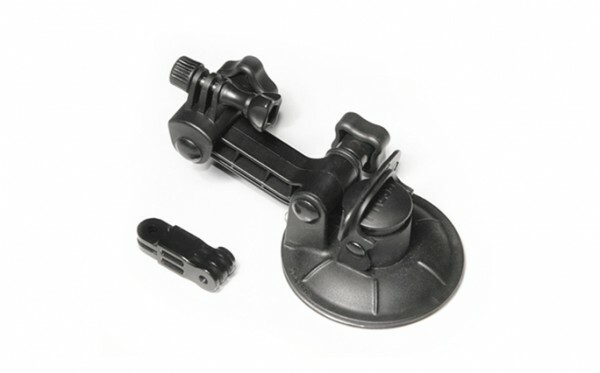 The GoPro Suction Cup Mount is one of the accessories I bought and have found myself most disappointed with. They say it’s supposed to keep your GoPro attached to a car (or even an airplane) at high speeds. I’ve only used it once, attaching it to an indoor window as a test to see how well the suction cup performed. It failed. I came back into the room and the camera was on the floor. I suspect that I may have needed to clean the suction cup and the window better, but my confidence in this mount has decreased so much that I’m worried about using it anywhere dangerous to the camera. I would definitely not recommend using it without some sort of backup device to prevent your camera from disappearing, i.e. a leash of some sort. Conclusion: No sir, I don’t trust it one bit. Since I modified my original housing to add the BlurFix adapter I realized that I no longer had a GoPro housing that was capable of handling rough and tumble situations since the glass lens was susceptible to breakage. So I recently bought an additional GoPro Waterproof Housing, as well as a GoPro Skeleton Housing. 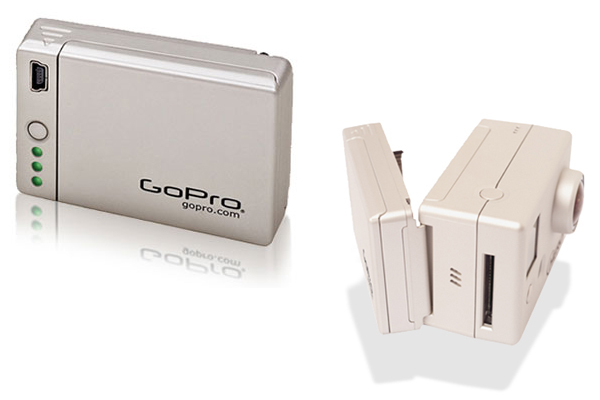 The Skeleton Housing is by no means weatherproof, however it gives you access to the GoPro ports while shooting video. This means you can attach an external power source, providing unlimited power for long videos and time-lapses. I look forward to doing some longer driving time-lapses with this. SD Cards, Laptop, Software, etc. I’m using Transcend 32 GB Class 10 SDHC Flash Memory Cards. They’re cheap on Amazon (<$1 per GB) and are fast enough to handle the GoPro's output. If you're like me, you've got a handful of SD cards laying around. Check to make sure they're Class 10 (the fastest data transfer rates) before you toss them in your GoPro. There's no reason not to go with Class 10 cards unless you're extremely cost-sensitive. The GoPro produces high resolution stills and videos. Be prepared to deal with them. I actually experienced some annoyance at trying to deal with them on a 2008 Macbook Pro with only a 500GB drive. I upgraded to a 2012 Macbook Pro with a 2.4GHz quad-core Intel Core i7 processor, a 256GB SSD, and a 1TB drive (via OptiBay kit) and have zero trouble editing in iMovie. Eventually I'll maybe switch the software I use for video processing, but for now iMovie covers most of what I need for simple videos. It doesn't seem to like to export to full 1080p video, only 720x540, but since I'm mostly exporting for online viewing it's not that big of a deal. It may be a limitation of iMovie or it may be a setting I'm missing. If anyone has any feedback, let me know. A lot of people have reported fogging issues with their GoPro as the camera itself heats up with usage. Depending on moisture and temperatures you may experience the same. We ran into it only once in BVI while shooting some video of boat swinging. A quick wipe of the lens and things were fine, however we didn't notice it at first since we weren't using the LCD screen. People say the official GoPro fog strips are a bit pricey, but worth the money. I’ve purchased a pack and plan to use them to prevent fogging issues before they happen. There are some home-made remedies, but these are made to fit snugly inside the GoPro housing without damaging the camera itself. There’s a lot of info and video examples of what you can do with the GoPro online. One of the best forums I’ve found is GoProUser.freeforums.org. You’ll have to register, but it’s worth it to poke around on there. I love my GoPro HD Hero2. It hasn’t replaced my iPhone as a daily-carry video camera since the GoPro requires more accessories and is a bit bulkier. However it does go on every trip with me now and I’m always trying to find an excuse to use it for something. Here are some videos I’ve taken with my GoPro HD Hero2. Keep in mind these aren’t full resolution. The resolution of the raw videos is far far better. Full disclosure: Nobody compensated me in any way for anything in this post, however some links are Amazon affiliate links. After over a month of delays, Gary Connery’s wingsuit jump finally happened Wednesday, May 23rd! Everything appears to have gone well and the first video has been posted. 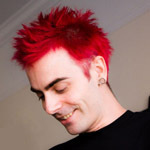 This makes him the first person to land a wingsuit flight without a parachute. Well at least the first to land successfully and unharmed in this often dangerous sport. A big congratulations to Gary!